Discover some of Lisbon’s historic hidden gems on this fun, self-guided tour. 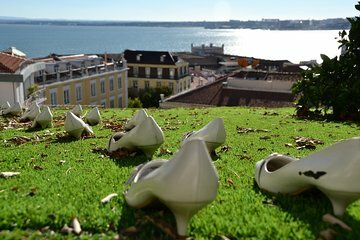 Set your own pace and follow the games and activities to help you discover Lisbon’s history in the districts of Alfama, Baixa-Chiado, Bairro Alto, and Principe Real. Solve 15 clues throughout the walking tour and learn about the histories, stories, and legends of each place.